Vote today and celebrate on June 5th! 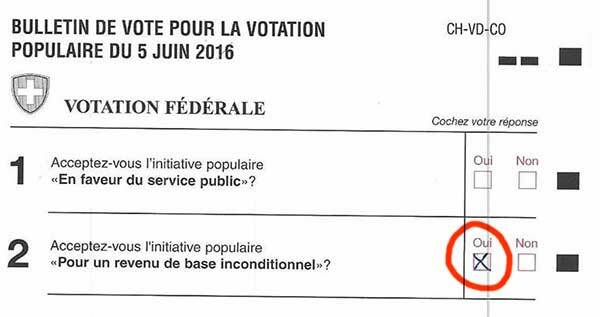 Every vote goes to show the significance of UBI and our desire for a positive change in our society! 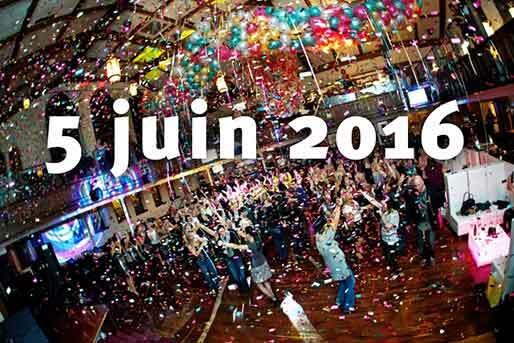 Let's meet up on June 5th in Lausanne, 11 to 23. Follow with us, the Romand Swiss activists, the live coverage of the voting results. We'll also celebrate together the path we've been on over the last 4 years. Notes : basic buffet and drink will be offered on site. If you want something more, bring and share your own specialties (canadian buffet)! "What would you do if your income were taken care of?" The Unconditional Basic Income raises what might now well be called the world's biggest question. 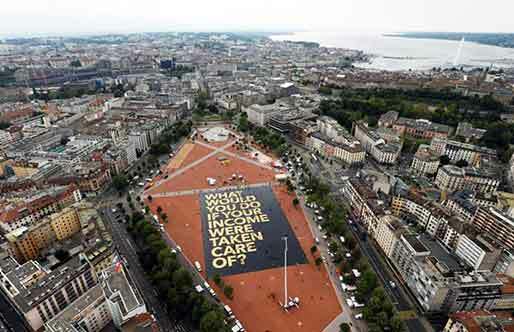 It's been in fact written on a 110x72 meters poster, installed on Plaine de Plainpalais on 14th may in Geneva by the Swiss network for UBI. That day the poster officially won a Guinness Book award of the world's biggest poster. The event got live covered for half an hour on a big screen on New York's Time Square!